A simple white Orchid Plant speaks volumes. Extend your deepest sympathy and convey your condolences in an elegant way. 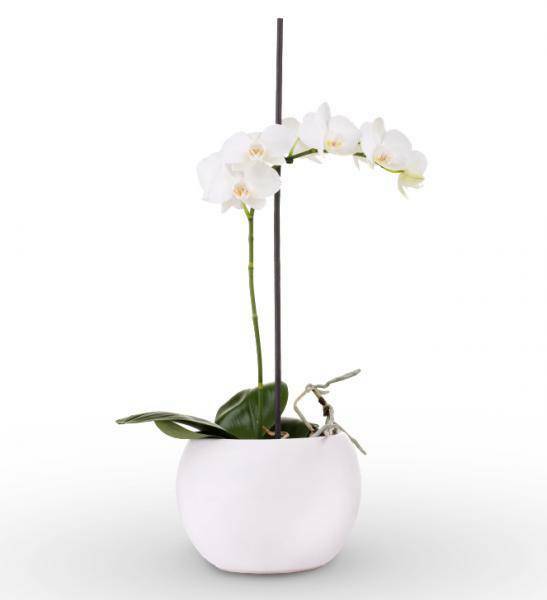 Seated in a lovely white ceramic pot, a double stem White Sympathy Orchid Plant can be hand-delivered the same day by a local florist.